Award-winning, creative webcam shows - by real girls! The specialist lifestyle site for T-girls & the men who love them! Heroes go HARDER on cam! The number one webcam community for fetishists - where experts meet kinksters! The ultimate interactive turn on! Adult content, games & cam shows - with a highly incentivized sign-up funnel! extra mile, whether this means flying to a different country to meet an affiliate, or introducing them to our CEO for a personal walk-through of an important integration procedure. We don't see small affiliates or big affiliates - all will get our maximum commitment, expertise and the full benefit of our forward-thinking vision. We’ve been told time and time again that we’re the best around, and we intend to keep it that way! you’re guaranteed top service quality from PussyCash. All affiliates can benefit greatly from our numerous earning opportunities. twenty-four hour fully-fledged support, and an always honest approach to affiliate marketing, we work together with our partners to enable them to reach their business goals. and available in a variety of languages. Additionally, partners can use our webcam site to generate their own successful White Labels. 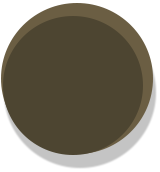 Our main aim is to make money for our affiliates. We give them the best services (with 24/7 availability) and surprize them with new sites and earning opportunities. Plus, hard-working affiliates can look forward to extra pay-outs on-top of already super-high regular pay-outs. We've got the whole industry purring! Our ferocious dedication and fearless innovation have long been recognized by Adult Entertainment industry experts. PussyCash's trophy cave is overflowing with industry award wins for our brands and affiliate programs, and we're ready to pounce on many more! It's not just the industry experts who are leaping up to give us a standing ovation. Our brands are also winners in user-voted categories, while our site membership numbers are through the tropical tree tops and rising! 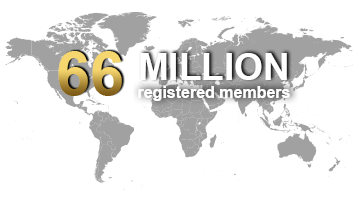 For example, webcam chat arena ImLive now boasts over 66 million registered members. Major partnerships have elevated our position in the industry to greater heights that ever before. We're pleased to count huge brands such as Pornhub and BeNaughty among our purrfect partners, and look forward to nurturing mutually beneficial relationships, and creating new connections with even more industry leaders.